Joe Coral is the name behind this historic casino who founded it in London in 1926. Since then, the company changed hands a couple of times until it was finally acquired in 2018 by GVC holdings, well-known for operating several successful online casinos. Being a product of GVC’s expertise and Coral’s experience, we’ve decided to test this casino out and make a Coral review of our own so that we could see whether Coral can find its spot among the best online casinos in the UK. We will showcase all the aspects and present them to you fair and square. Coral's website design is pleasant and modern and the colours resemble their brick and mortar shops, making the online platform instantly recognisable. Games run fast and without any obstacles, plus you can also set the resolution to your liking. When it comes to their game roster, the offer is average with 460 games in total, including Coral slots, table games, live casino, and Bingo. Apart from the regular offer, members can also enter the VIP program and receive special gifts. The bonus page contains two bonuses for regular casino players and one aimed at live casino fans. Although the bonus amounts are fairly modest, all bonuses have a standard wagering requirement. In addition, the website features Comp points that serve as in-site currency and are obtained through playing. Members can contact the customer support via 4 different channels: Coral email contact form, live chat, Twitter, and phone number 0800 169 0299. The support team is professional and will solve your problems in a matter of seconds. Coral offers 10 different payment methods to its members: Visa, Visa Debit, Maestro, Mastercard, Skrill, Skrill 1-Tap, Neteller, ECO, Paysafecard, Connect. Minimum deposits are £5 for e-wallet users, while there are no minimum withdrawal amounts. Coral casino is licensed both by the Gibraltar Gambling Commissioner and the UK Gambling Commission, while all the games are tested by Technical Systems Testing Inc. which makes sure that the RNG is up to standards. In addition, the website segregates all the players’ funds in order to avoid any insolvency problems. The bonus section contains two different bonuses for casino players – both of which are welcome bonuses – as well as a special multiple bonus for live casino fans. Besides that, players can find a special in-site currency called Comp points that can be acquired while playing games. Any player that signs up, makes the first deposit, and stakes at least £10 on any of the qualifying Casino, Slot, or Live Casino games, can claim the first £50 Welcome Bonus. As not all games are eligible for the bonus funds, you will first need to check the dedicated list on Coral’s Promotional Terms page. Before withdrawing any winnings, players will have to wager 40 times the total amount in 30 days, but bear in mind that not all game categories contribute the same to the wagering requirements, and that e-wallet users aren’t eligible for the bonus at all. Members who prefer slots over any other game type can enjoy the free no deposit bonus, but they need to have a GBP currency account and to opt-in at the promotional page in order to qualify. Even though it sounds enticing, remember that players are required to wager the bonus amount 40 times and that all wins are capped at £100. You can reach the cap very easily, but you will still have to spend 4 times the amount before withdrawing it. Live casino fans can apply for six different mini promos out of which we selected a few that were the most interesting. But first, it must be noted that members need to enter any of the live casino rooms from 16:00 to 23:59 every day, so make sure you check the time. Every time you place £20 or more in side-bets in the first hour and don’t win, you will get a £20 cashback; but if you are dealt a Blackjack in the first 10 hands, the casino will give you £10 cash as a reward. 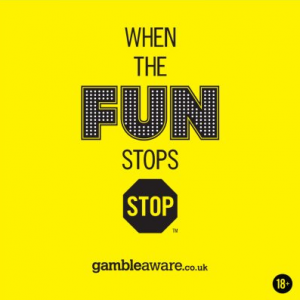 However, if you lose 3 Blackjack hands in a row, you’ll get £20 in cashback. When it comes to games, Coral currently hosts more than 450 games divided into three different categories: slots, live casino, and table games. Players can also play their Bingo, Lotto, and Poker games with casino funds, but they will have to download specialised software from the respective pages first. Coral currently hosts 300+ well-diversified slots with classics like Ways of the Phoenix, Anaconda Wild, and Neptune’s Quest, along with exclusive franchises Mars Attacks and Ronnie O'Sullivan. In addition, players can expect around 20 daily jackpots with the prizes going up to $200,000. Although the roster is quite modest when it comes to the number of available games, it is quite rich when you take into account its variety. Table games fans can choose between 20 different titles including different variations of Roulette, Blackjack, Baccarat, Poker, and one Spin-A-Win Game. Our recommendations go to Jacks or Better for multiple playing hands and Key Bet Roulette with a bonus slot and a chance to win 50 times your initial stake. While writing our Coral review, the biggest surprise we found was the live casino section, as Coral has one of the biggest live casino rosters we have ever seen on an online casino. Members get to choose between 80 live casino rooms with varying stakes, and the roster hosting multiple versions of Baccarat, Roulette, Sic Bo, Hold ‘Em, and Blackjack. We would like to recommend the Blackjack Lounges for their wide range of stakes, as well as the Age of Gods Roulette for a chance of winning a $100,000 jackpot. And, finally, the Platinum tier whose members can get all of the above plus a personal account manager and faster withdrawals. Coral casino is built upon a platform that is stable and powerful enough to support all the games, especially the abundant live casino section. Players that have a problem running their games due to a bad Internet connection can download the Coral desktop client and run all games from their PC. The website bears a modern and colourful design that reminds of their brick-and-mortar shops, but regardless of that, the layout is still a bit confusing. The top of the page contains two headers with game categories, but the categories themselves aren’t properly divided. For example, you will come across Poker and Bingo categories in the header area but they are not counted as casino games – a very odd division, you will agree. When it comes to playing on the go, Coral has a dedicated mobile app which is primarily built for sports bettors in mind and which hosts 200+ different games. Nevertheless, the app contains all game categories as well as some special promotions, plus you can deposit and withdraw funds, and contact the customer support. You can also run the desktop version from your mobile device, as all the games are adjusted to the mobile web use and have adjustable screens. Personal info page, where you will need to enter your, name, email, date of birth, country, address, ZIP code, and a phone number. Account info page, where you will need to enter your desired username, password, and currency. You can start playing as soon as you have completed this process, but note that you won’t be able to withdraw before verifying your identity. However, maybe the most important pre-requisite for an undisturbed play is making sure whether you’re eligible to play from your country, which you can check on the list of restricted countries on Coral’s registration page. Players who come across an issue while playing can visit the comprehensive Help page where they’ll find all the basic information about the site’s contents and rules. Alternatively, players can contact the customer support team via 4 channels: email form, live chat, Twitter account, and the support team’s telephone number 0800 169 0299 available 08:00-22:00 UK Time. In order to check for ourselves how Coral’s customer support team fares against our high standards, we tried reaching them by clicking on the Coral chat button. To our satisfaction, the customer support representative answered within seconds and offered us a knowledgeable reply. The website is licensed and regulated by the Gibraltar Gambling Commissioner (licence number 059 & 060) and the UK Gambling Commission (000-039071-R-319423-001). When it comes to fairness, all games on the website are tested and approved by TST Inc., one of the leading companies in RNG testing. The minimum deposit for e-wallet users is £5 and the minimum withdrawal amount is £0.01. The deposits are pretty much instant, while the average Coral withdrawal time is a little less than an hour.